144 Pages. 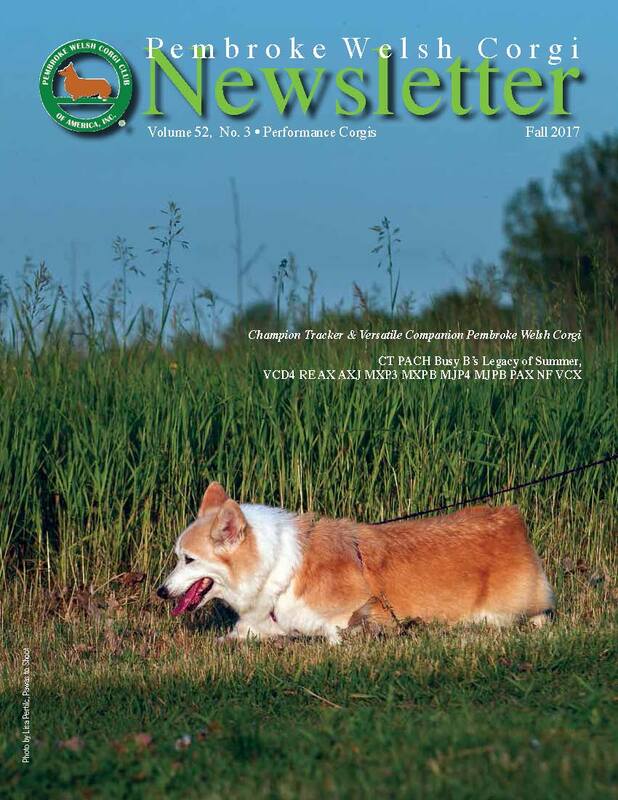 A single copy of the Volume 52, Number 3, The Performance Issue, Fall 2017, of the PWC Newsletter with a cover featuring Champion Tracker and Versatility Companion CT PACH Busy B’s Legacy of Summer, VCD4 RE AX AXJ MXP3 MXPB MJP4 MJPB PAX NF VCX. Thirty-nine pages of color features and ads, including an article written by Patty Fulton, the owner of the featured dog, “Piper;” an article by Vicki Northway on the retired and redonated Reba Challenge Trophy; and an article by Melissa Ericksen on tail docking with detailed photos of each step of the process. Also in this issue, the 2016 Annual Awards in Companion Events, Herding and Versatility. Additionally, columns by the PWCCA President and PWC Newsletter Editor, plus a report by the AKC Delegate Anne Bowes. Specialty reports from Gaitway, Golden Gate, Greater Atlanta, Mayflower, North Texas, Ohio Valley, and Potomac 1 & 2. The Regional Talebearers Spotlight features the Columbia River Pembroke Welsh Corgi Club with pictures. Rounding out this issue is the Calendar of Events, PWCCA Business information, and color and b/w ads featuring PWCs. Available only as long as supplies last.